M1 is NEXTDC’s flagship Australian data centre facility, located less than 3km from Melbourne’s CBD. Our Melbourne data centre is also the largest independent colocation data centre in the city, with 6 data halls measuring 1,000m² each. 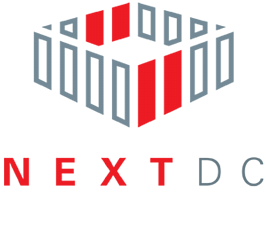 NextDC offers space, security and speed for all your cloud backup data management. M1 has achieved the Uptime Institute’s industry-benchmark Tier III certification for design – an endorsement that the facility will support extremely high levels of service availability. M1 has a minimum of N+1 redundancy on all critical systems to provide 100% availability on services – a guarantee virtually unrivalled in the Australian data centre industry. M1 Melbourne is also ISO 27001: 2013, ISO 9001: 2015, ISO 14001:2015 certified. Equinix’s Sydney data centre, SY1, is strategically located in Mascot, close to the Southern Cross Cable Head and about 6.2 kilometres from the Central Business District. This is one of many state-of-the-art IBX centres in key metropolitan areas throughout the Asia-Pacific, which offers a full range of premium colocation, interconnection and support services. SY1 enables a wide range of secure digital ecosystems built by networks, enterprise, content, cloud and IT services companies and financial institutions. SY1 is also ISO 27001, PCI DSS, SOC 1 Type II, SOC 2 Type II certified. Perth iX is regarded as one of the premier co-location facilities. The iX Data Centre is located in the heart of Perth’s CBD, adjacent to St Georges Terrance and the Perth Convention and Exhibition Centre. Working with high-performance fibre to make it feel like your servers are right next door (which they very well could be), Vocus’ commitment to keeping ahead of the curve regarding power, cooling, speed and security make Perth iX an intelligent choice for co-location. Perth iX is ISO/IEC 27001:2013 cetrified. INAP data centers have received LEED Gold certification by the U.S. Green Building Council (USGBC) as well as Green Globes® and ENERGY STAR® certifications. INAP are also SOC2, SOX, PCI DSS, HIPAA certified.